One of the most effective ways of capturing leads is through forms. They help you gather certain information about a lead. A typical form may have text fields, submit button, radio buttons, checkboxes, etc. You can easily embed the from into your website. 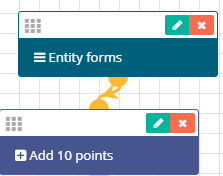 With the concept of forms explained clear, let’s now proceed to building a simple workflow to understand how you can process form entries into actions chain. 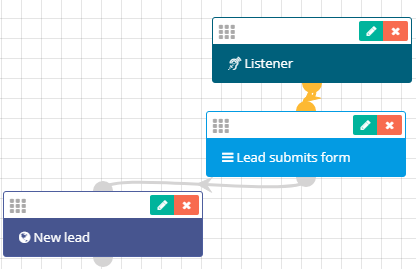 Let’s first consider the scenario where you want the workflow to execute actions upon a lead entering the CRM from a form you have created beforehand. 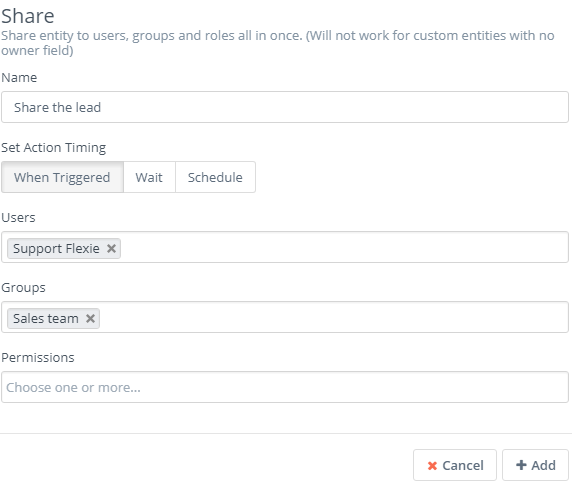 First, go to Workflows and on the drop-down menu click Manage Workflows. 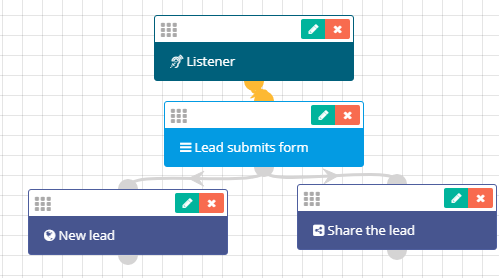 Since we want to process lead form entries, choose Lead as your workflow entity type. Give it a name, write a description, choose a category (optional) and then click Launch Workflow Builder at the upper-right corner of the page. As your workflow source, choose Entity forms. Select the form(s) you have created beforehand and then click Add. 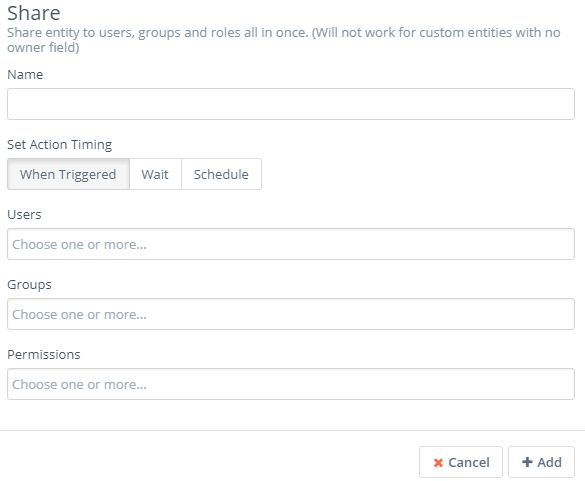 You want the workflow to execute actions upon a lead entering the CRM through a form. Let’s say you want to add 10 points to the lead. Also, you want to to send a follow-up email to that lead, but you want to wait at least one day. Go to Actions and choose Adjust lead points. Connect it with the source Entity forms. 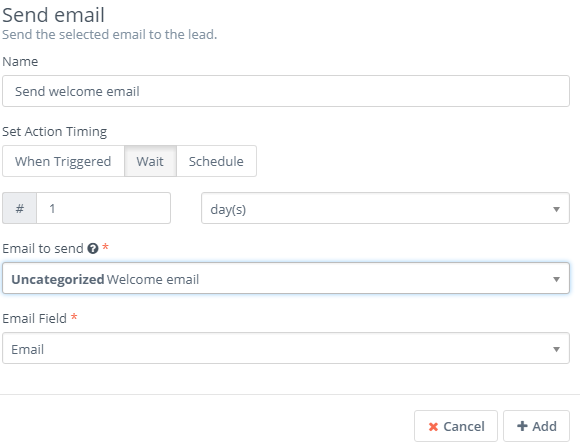 Next, you want the workflow to send a follow-up email to the lead. Go to Actions and select the Send email button. Give it a name, choose Wait and on the left set 1, while on the right select day(s). Choose the email you want to be sent, the email field and then click the Add button. Make sure to connect with the Entity forms. The workflow we’ve built will do the following(not immediately): the lead enters the CRM through the form you have selected, the lead will be added 10 points and it will also receive a follow-up email one day after it has submitted the form. But what if you want the workflow to execute actions instantly? In order to do this, let’s consider another scenario. 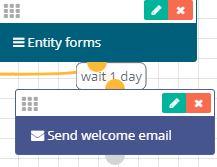 Let’s say you want to send a web notification to a user within Flexie CRM upon a lead submitting a form. First, go to Workflow Sources and choose Listener. The listener ‘listens’ for any event happening within the CRM. Next, click Add. 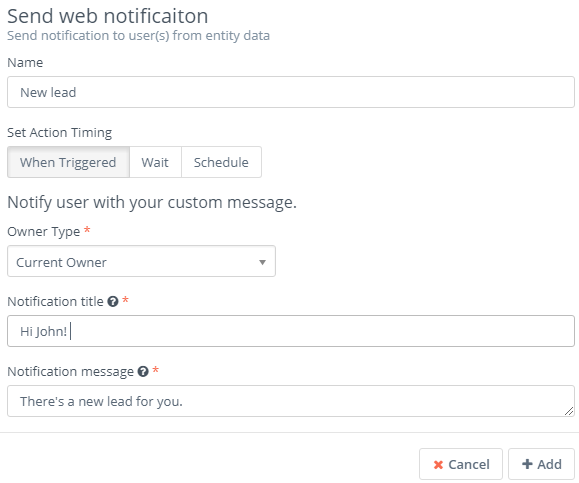 You want the workflow to send an instant web notification to a user within the CRM upon a lead submitting a form. Go to Watch For events and choose Form submission. Give it a name, choose the lead form(s) and then click Add. Next, you want to send a web notification when a lead submits one of your selected forms. Go to Actions and choose Send web notification. Give it a name, choose When Triggered and then choose who is going to receive the web notification. It can be a specific user or a group. Next, choose the notification title, the notification message and then click Add. 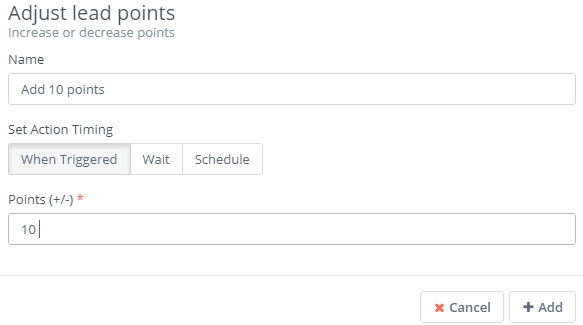 The workflow we’ve built thus far will do the following: it will listen for any specific event within the CRM. 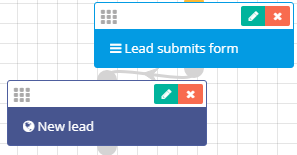 Once a lead submits a form, a web notification message will be instantly sent to the specified user. 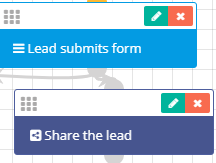 You can also add another actions, which will be executed as soon as a lead enters the CRM through your form(s). For example, you may want to share a lead once it submits a form. To do this, first go to actions and click Share. Give it a name, choose When Triggered and then choose the user(s), group(s) or permission(s) you want to share the lead with. Next, click Add. 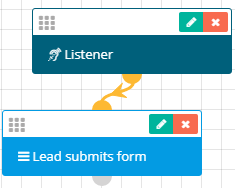 Once a lead submits a form, the workflow we’ve built will not only send a web notification instantly, but it will also share the lead with the specified users or groups. This was just one of the many examples of processing form entries into actions chain. You may build even more complex workflows, execute more actions, set conditions and a lot more. The workflow you build may depend on your needs, business philosophy and other factors.